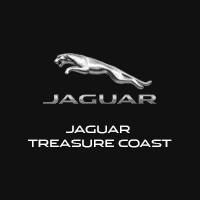 With the help of our finance team at Jaguar Treasure Coast, we’ll make getting behind the wheel of your next car easy. After you find the Jaguar that perfectly suits your style, the professionals from our finance department in Fort Pierce are prepared to walk you through the buying or leasing process so you don’t have to do it alone. Meet with one of the members of our talented finance team to receive a personalized payment plan that fits your budget. Our network of trusted lenders will set you up with an ideal loan rate. We also offer a number of lease and financing incentives on multiple models in our inventory. If you’re searching for Jaguar lease deals in Fort Pierce, FL, check out our online inventory. Contact us or call (772) 489-4646 to learn more about financing your new Jaguar.